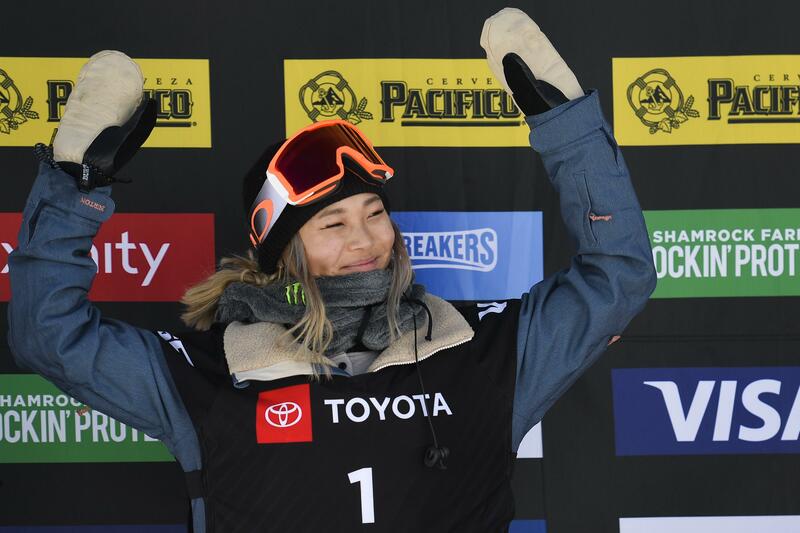 UPDATED: Fri., Feb. 8, 2019, 3:05 p.m.
With Friday’s win, Kim is now the reigning Olympic , X Games, U.S. Open and world champion. Just as daunting to the other nine riders – and dozens of more looking on from elsewhere – was the trick Kim tried but didn’t land after her victory was already wrapped up. It was a frontside, double-cork 1080. Four months ago in a training session in Switzerland, Kim became one of the rare women to land a double-flipping jump, and the first to land it with a frontside takeoff. She tried to bring it out for the world to see Friday, but couldn’t stay upright. A snowy week had limited her time in the halfpipe leading into the contest. Remarkable as the trick itself was that Kim chose to try it now. The year after the Olympics is generally a down year for these athletes – a year geared toward healing, having fun and recharging the batteries. Men’s gold and silver medalists Shaun White and Ayumu Hirano didn’t compete in Park City. Though Kim recently decided to enroll at Princeton next fall, she’s showing no signs of taking a break quite yet. James can go big, too, but he stands out with tricks such as the switch backside 1080 he used to open his final run. It’s a jump performed traveling backward, then flipping backward – akin to a right-handed baseball player swinging left handed while suspended upside down – and doing it to open the run makes it that much more daunting. In all, it arguably wasn’t as difficult as his Olympic bronze-medal run last year, but it was a sure winner. When his score of 97.5 came up, James thrust his trademark red boxing gloves into the air and celebrated his third straight title at the world championships. He also won in 2015 and 2017. “I was pinching myself when I won my second world title, and I’m triple-pinching myself now,” James said. But while James knows he’s got plenty of competition out there – including 17-year-old Toby Miller , the protege of White’s who finished out of the medals by only 1.25 points – Kim’s main competition will be herself. Published: Feb. 8, 2019, 12:27 p.m. Updated: Feb. 8, 2019, 3:05 p.m.